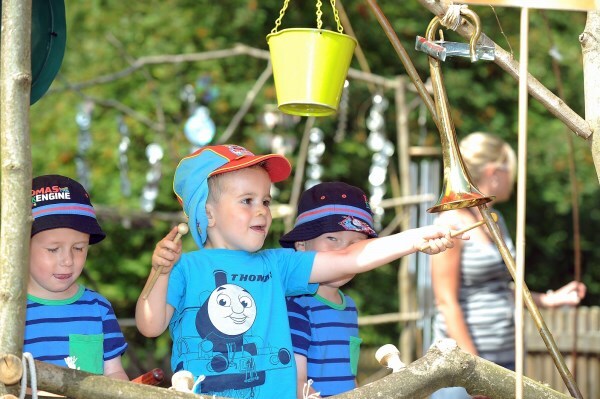 Our Western region teamed up with Taylor Wimpey and Barratt Homes to donate £750 to Evesham Nursery School in Four Pools Lane to improve its outdoor learning environment. The children, aged two, three and four, were able to watch Martin Rider - who they called the 'woodman' - create the sound area using natural and recycled materials. 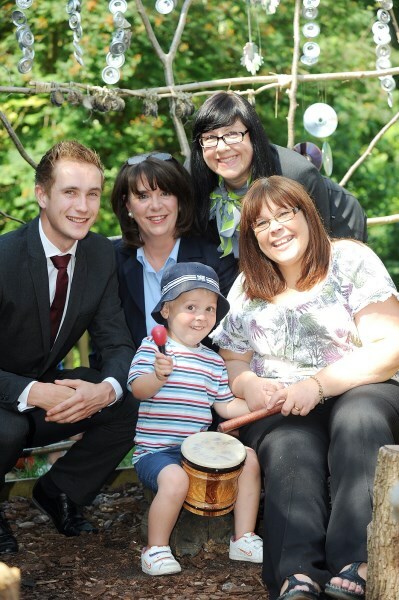 Nursery school head teacher Marian Gager said: "We would like to thank the house builders for their generous donation. We wouldn't have been able to afford this project without it. "It has helped us transform an area in the garden which wasn't being used very well. We've created a sound-making area with some low staging and some natural seating carved from logs. "The children really enjoyed seeing it being created and would talk to Martin and ask him questions while he was working. It was a lovely experience for them. It's a very versatile space, which we've used for dancing, singing and music-making, and it is a real magnet for the children. They love it." Barry Cummins, Regional Sales and Marketing Director for Bovis Homes, said: "Working with local communities and caring for the environment are two key parts of our work as house builders, so this project is close to our hearts. "It promises to bring years of fun and learning for Evesham youngsters and we are delighted to have played a part in delivering it along with our partners." Bovis Homes are building new homes off Offenham Road at their Abbey Vale development.